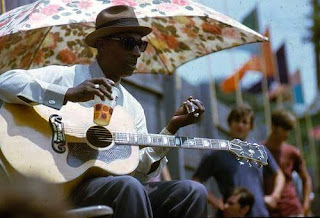 The waves of outside interest in the blues have not been entirely harmful (a few of the old musicians made some money). Stanley Booth thought it even still could have more of a positive effect, but only if those interested in the blues care enough to temper their enthusiasm with understanding. He may have had a penchant for hyperbole, but he surely was not naive. In the interest of belatedly paying some dues, it might be suggested that the posh Britons and atavistic hipsters might stage benefit concerts and help to fulfill the request of Lemon Jefferson----and see that the now marked and abandoned graves of the greats are kept clean---for which the blues foundations should foot the expenses, with the proceeds going to perpetual maintenance. If blues lovers wanted to do the right thing, they might go farther than throwing down some cash--and for something besides a trip to the IBC. They might start with a little research, going deeper than the music, perhaps actually trying to understand some of the historical context so crucial to this vitally important music. And so critical to maintaining the freedoms once so cherished. That is what should happen. Booth hoped it might happen. But the blues foundations and the pop-music industry have never really cared for dead blues singers, and they are not likely to change now. Stanley Booth originally forecasted that the surge of interest in the blues would die off. "On the other hand," he wrote, "next year the blues may be bigger than ever. In that case, the old men and the few who kale them and their songs may have even less to look forward to..." Indeed, in many ways, the enthusiasm for the blues has come to mirror the values of a bedraggled American society that remains deeply haunted by its dark racial past, which, as is now so painfully obvious, is not really past us. It remains firmly entrenched in our cultural institutions, and it continues to hang like a heavy fog over each event that celebrates this indelibly American art form, forcing many of us to relive at least some of the pain and indignity, yet in a new way, not only keeping the blues alive but also the hatred and inequality that most Americans never wanted to do away with at all. No one does the work and has the same ethical mission as the Mt. Zion Memorial Fund. Many others claim to do the same work, but all of them strip away the most superficial elements of our mission, promote only those as all-important, and thereby draw away many of our would-be supporters and dollars in the process. I know that the goals of memorialization and maintenance are both achievable. Moreover, they are necessary to push past this malaise of hatred and distrust. We proved it again March 9 in Memphis. 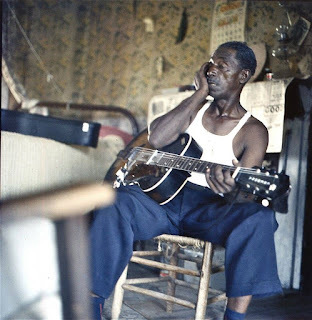 Thank you for your continued support, and thank you for standing with us and mushing forward in these dark, desolate times when many folks focus their energies and the most wretched elements of our nature on keeping the disrespectful elements of a destructive national past alive and call it the blues.